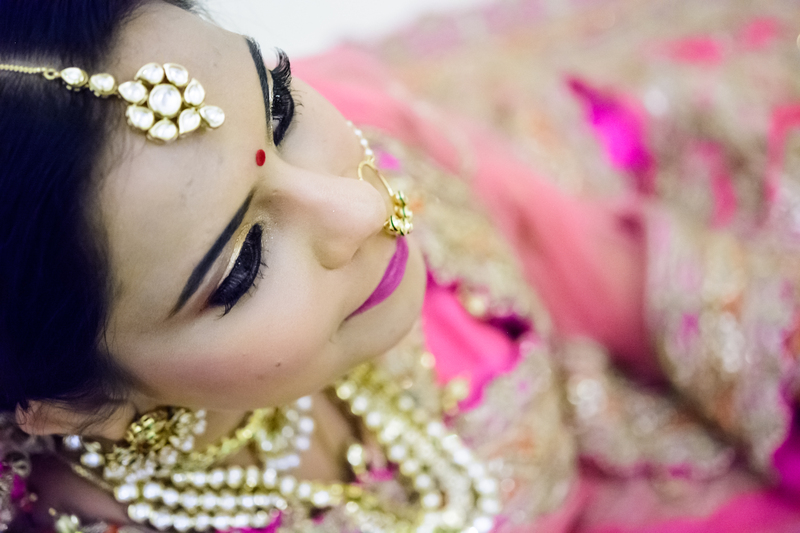 “I was very particular about every minute details of my wedding- My lehenga, the footwear I will put on the wedding day, each day’s outfit, makeup and my wedding photographer. I chose Sonal after talking to 38 photographers to be exact. I was not very sure whether to have a hairdo or any makeup for the pre-wedding shoot or not, for which she said that the pre-wedding shoot defines your relationship, its more for both of you and less to post on social media and the people out there so let it be as pure as it can be. And when we saw the photos, they defined every detail of the kind of relationship I have with Abhishek. I had several ideas regarding my pre-wedding shoot, my wedding photography and Sonal I would say have given shape to all those ideas and more. What I liked the most in her photography was the moments and emotions that she has captured- like there is a photo of me and my father having a conversation, where he is smiling and I am looking confused at him. That’s the exact kind of relationship I have with my father, where he never gives straight answers to any of my questions and then leaves me confused and then he laughs. I mean how can anybody capture just that, a relationship in a photograph. And thats not it, there are many such examples of the relationship I have with each of my family member which she have captured beautifully. 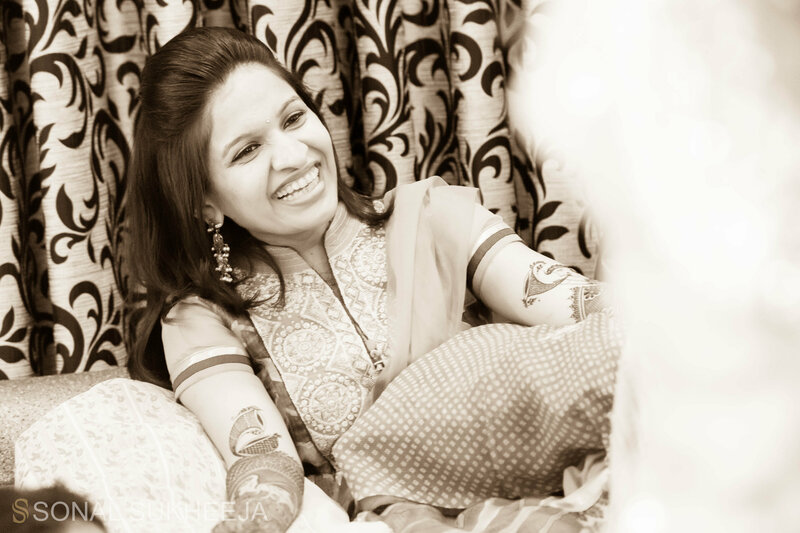 “First things first, thank you so much Sonal for creating memories of a lifetime for us. It is because of you that we will live some of the most beautiful moments of our wedding day again and again. 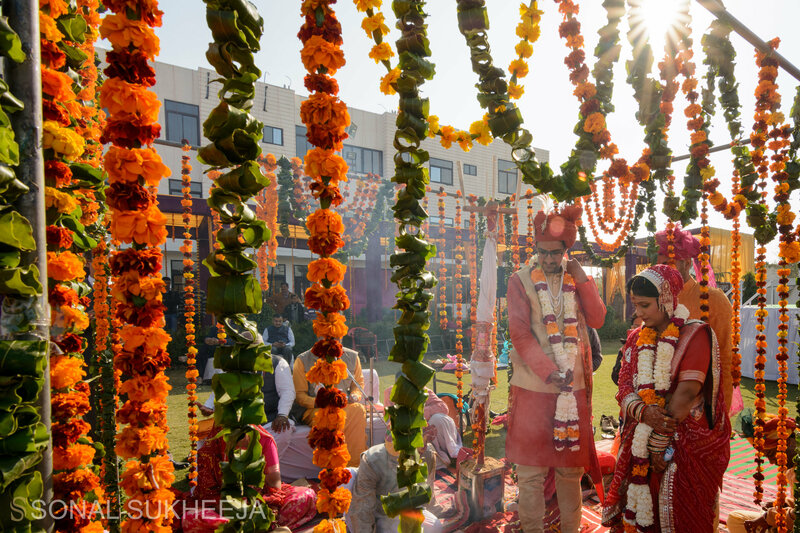 Sonal has already given a very beautiful of our wedding from her perspective. Here’s our side of the story: In a frantic last minute search for a photographer for our wedding, we came across Sonal’s profile just about a month before the wedding day. Till then we had been very content thinking that we will have a simple wedding( a little rebellion in our imagination) and didn’t want any excessive indulgence. But we were soon made to realize that we can’t have good pictures and the strongest push came from our parents who were adamant they can’t even imagine not having pictures from their children’s wedding. So in a rush, we searched and, voila! At this 11th hour, the internet Gods revealed to us some stunning pictures and a wonderful website of Sonal Sukheeja. 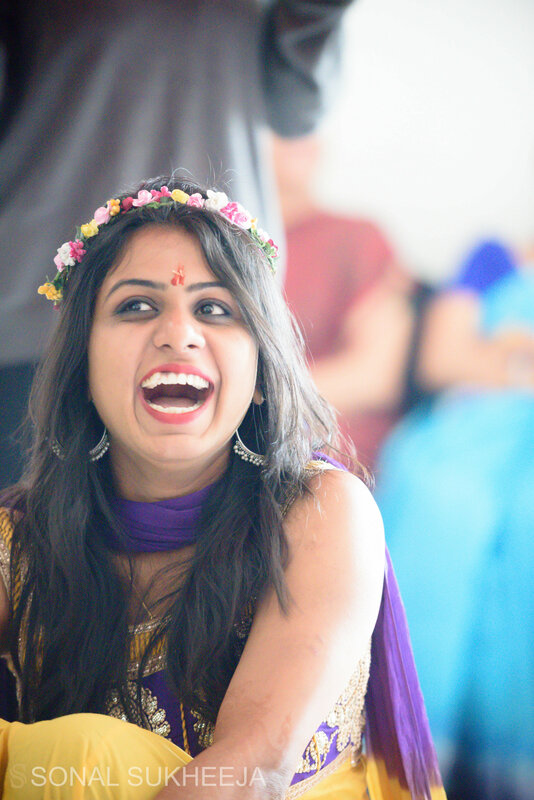 We are so so happy that we found Sonal and she captured the event in all its simplicity, chaos and cheer. She was very professional and yet been like a friend to us. In fact, she was so comfortable and accommodating that our relatives thought she was indeed ‘Shivangi’s friend from the USA’. 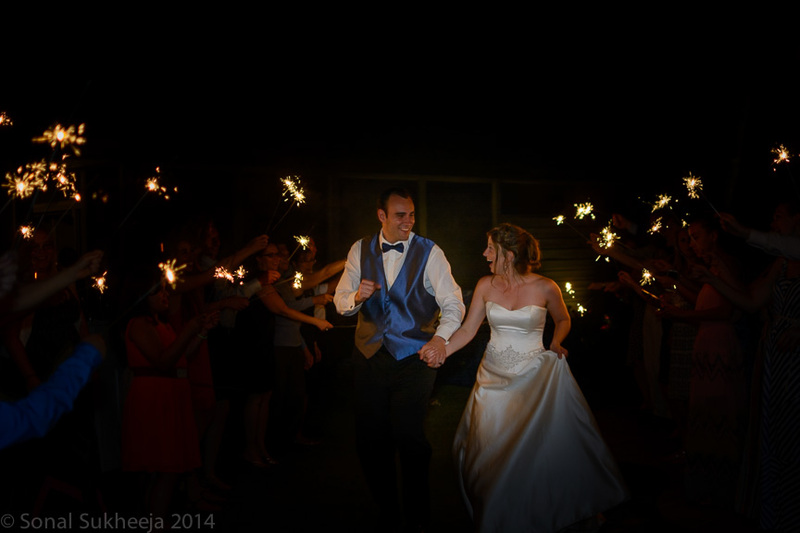 All the weddings are chaotic, and ours was no exception. She had to accommodate a lot and she ended up sharing her room with a lot of people (sorry again, Sonal). She was always incredibly calm, friendly and responded to all our requests with a warm smile. We never felt that we had hired someone, she was more like a friend and took a keen interest in all the wedding events. 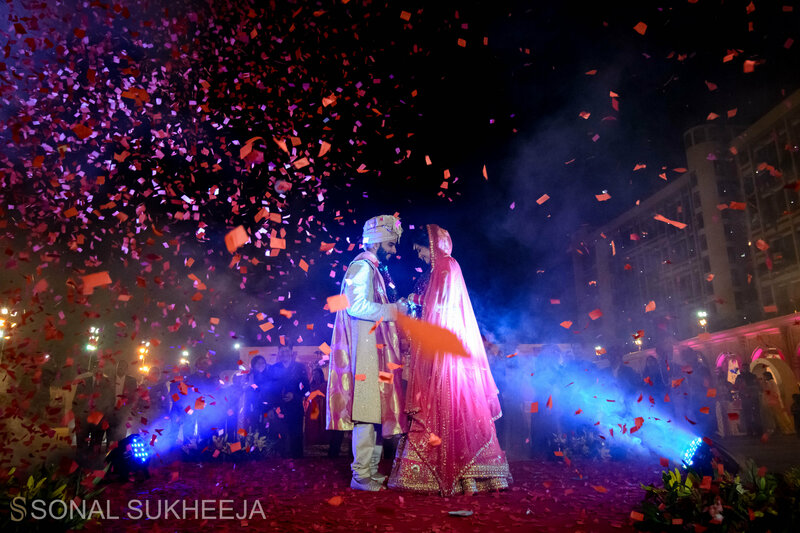 Now when we look at the pictures, we feel she managed to capture even the minutest of moments that portray our emotions, experiences and the ambiance of the wedding. The pictures are already reminding us of those small little things that made us laugh, or anxious, the thoughts in our head and the exuberance around us! Even though we hadn’t given her a very helpful brief on what we wanted, she did more than we could have imagined. We didn’t want our expectations to be restrictive on her craft or hinder her creative freedom and interpretations. We are very happy that we let her do her own thing as her creativity shone through and she could present our wedding through her perspective as a beautiful story. 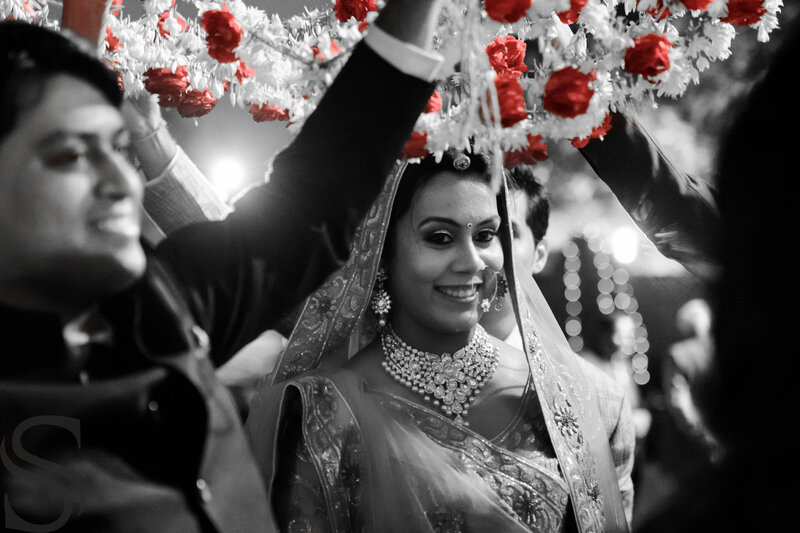 “If there is one thing I wanted good at my wedding, it was the photographs and I must say Sonal did an excellent job at it. The pictures at my wedding taken by Sonal are timeless and artistic. She has captured special moments from my wedding and it has come out very well. She was very professional and was always on time whether it was a small meeting with us to decide the scope of photography (it was bride exclusive – only bride’s pictures for me), or any function that she had to capture. She was all the time around me and captured every necessary detail and I must say she did not overwhelm any of us by intruding in every puja and every other place to capture pictures (unlike some other photographers). We did not notice her presence at all and it was good as she could capture natural moments without disturbing the puja and other rituals. She mailed me hard copy of the pictures she captured and it was a selection of 404 pictures and each one of the 404 pictures was good and editing was superb. 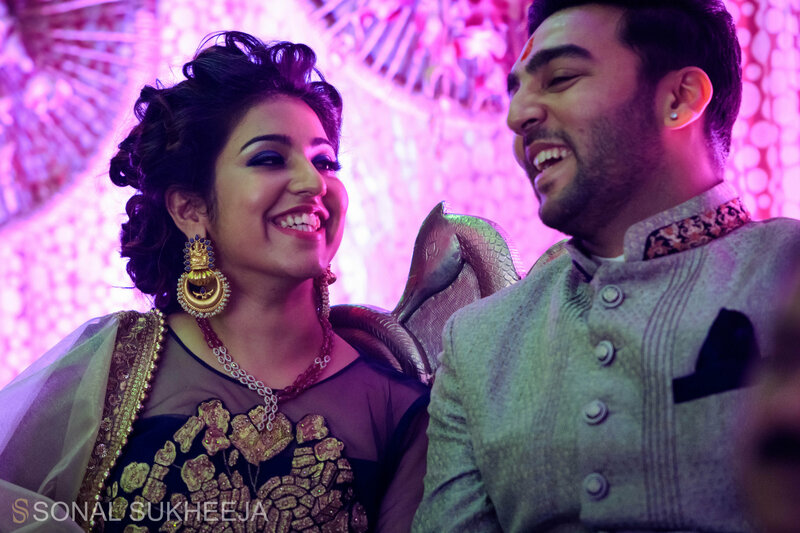 “Candid photography is one of the most important things to be done in a wedding and we are glad that Vaibhav and I approached Sonal Sukheeja for this auspicious occasion. Knowing her from before made the task a little more easy and relaxed for all of us. It was easy to put over our ideas and explain to her what we needed but apparently, she came out with better ideas understanding what we wanted to be done. She is best at what she does, from pre-wedding shoot to all the five days of our wedding were shot amazingly well. Each and every photo she clicked became our favorite and it was very difficult to select few to be included on the album as all of them stood to be beautiful clicks. 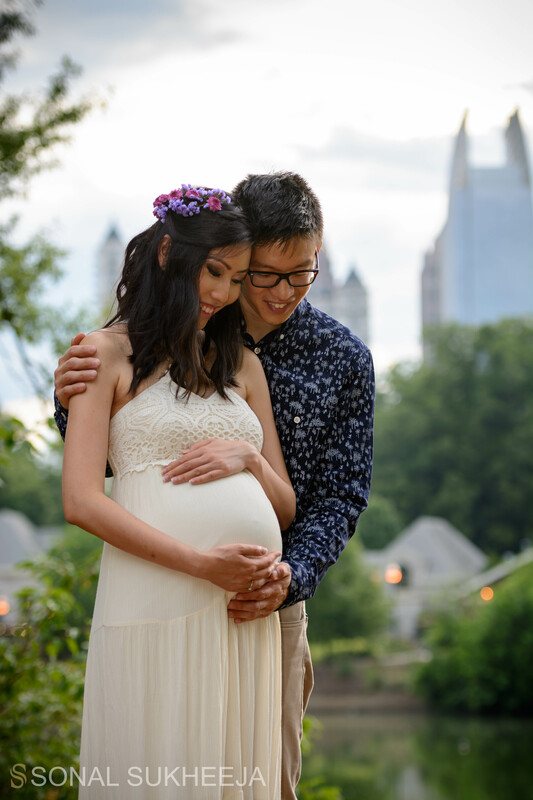 “I engaged Sonal for my maternity photoshoot and she was very professional in her communication, timeline, work attitude etc. She was super accommodating with our schedule changes. She arrived half an hour early and continued shooting beyond what we agreed. She has a highly engaging and pleasant personality which made the photoshoot enjoyable 🙂. It was a relaxing experience as Sonal helped and even demonstrated the poses as we would have been at a loss left to our own devices! The photos don’t show a trace of the harsh weather conditions we encountered.